After program fee payment, there are no refunds. Should you change your mind about a registered program, The Canada Games Centre will credit your account for the amount of the program up to 7 days before the program start date. This credit must be used towards the registration of another registered program or the initial set-up of membership dues. Any cancellations made after program start date will not receive a credit. All changes must be completed in person at the Customer Service Desk. The Canada Games Centre reserves the right to cancel any program or change session times and/or locations. Programs may be cancelled due to lack of registrants. Cancellation notice must be received a minimum of 14 days prior to the first day of camp to qualify for a refund. Refunds will be processed for the full amount of the fee paid, less an administrative charge (10% of the program fee). The Canada Games Centre does not give refunds for registered programs. In the event of a medical emergency where proof is given, we will pro-rate a credit to be used towards another program. The program participant must be an annual member of The Canada Games Centre to qualify for the Member Rate. Exception is where program participant is under the age of two (2). In this case, the parent/guardian as a facility member will receive the Member Rate for the program. All other membership types do not qualify for program discounts. The Canada Games Centre is not liable for injuries sustained by participants. Participation is at your own risk. Program fees may be pro-rated for late registrants until the second day of a particular session. There are some programs with evaluated or instructional components. The Centre reserves the right to restrict participants from joining after the initial start date. Program participants must meet the required age by the start of the program. Please note that some programs may be exempt from this policy. Sessions unattended by the participant will not be rescheduled or credited. 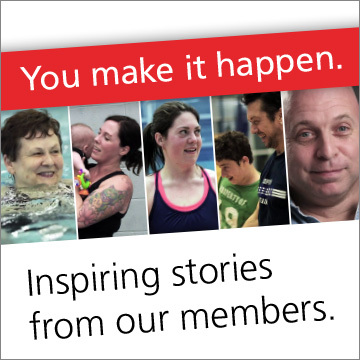 The Canada Games Centre is committed to providing safe and accessible services and activities for all persons. Those participants with special needs are welcome to attend any recreation activity compatible with their interests, abilities, and needs. If you or another participant has a special need that our staff should be made aware of before the start of a program, please contact the Canada Games Centre a minimum of two (2) weeks before the program start date to assist in the training and awareness of staff. All participants must meet the requirements stated in the program description. Program prices are exclusive of HST with the exception of programs for children aged 14 and under, which are exempt of HST. Exceptions may apply.